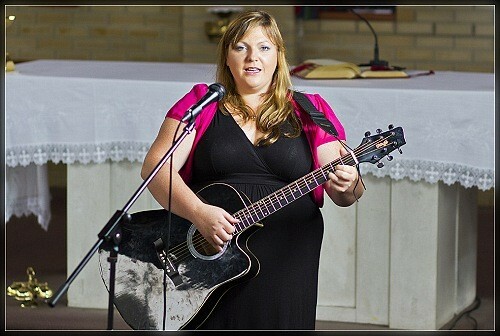 Anne-Marie is a superb vocalist and guitarist with over 18 years singing experience at wedding and church ceremonies. 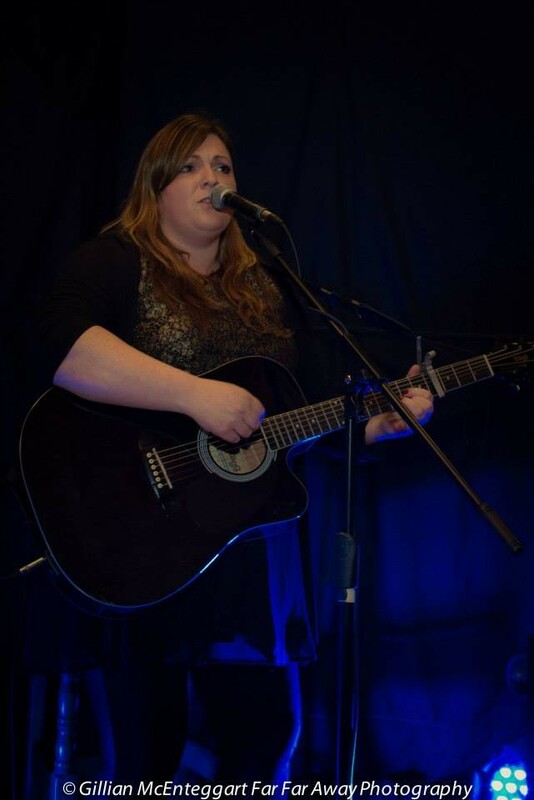 She has sung with many choirs and as the leader of the Folk Choir in Duleek Church, has an unsurpassed knowledge of suitable ceremonial and contemporary music to cater to your unique style of wedding. She has made acclaimed performances on both TV and radio as well as renowned appearances at music festivals throughout the country. 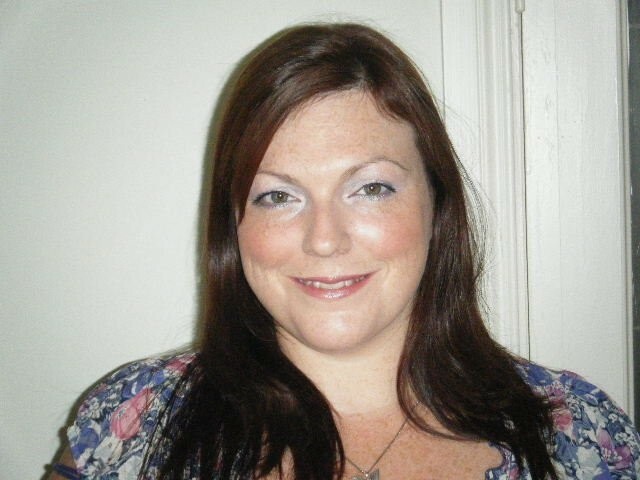 She uses her vast experience to help couples with the planning of their ceremony and also provides a Wedding Mass booklet service for a small fee as an optional extra. Anne-Marie can also provide organ music on request for entrance or exit, playing pieces such as the Bridal or Wedding March. 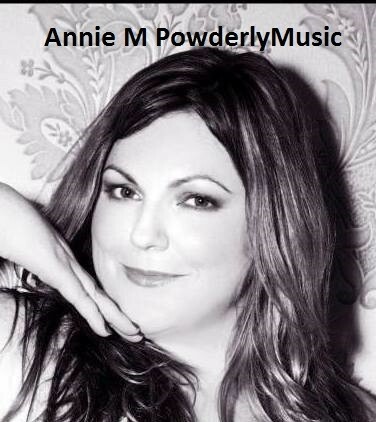 Anne-Marie's repertoire is quite eclectic from The Bridal March (Organ) Pachabel's Canon in D major (with PA system) to Songbird, How Long Will I Love You, popular hymns like Amazing Grace, Down to the River to Pray, Cead Mile Failte Romhat, to At Last (Ella Fitzgerald). This is but a small sample of what Anne-Marie can provide! 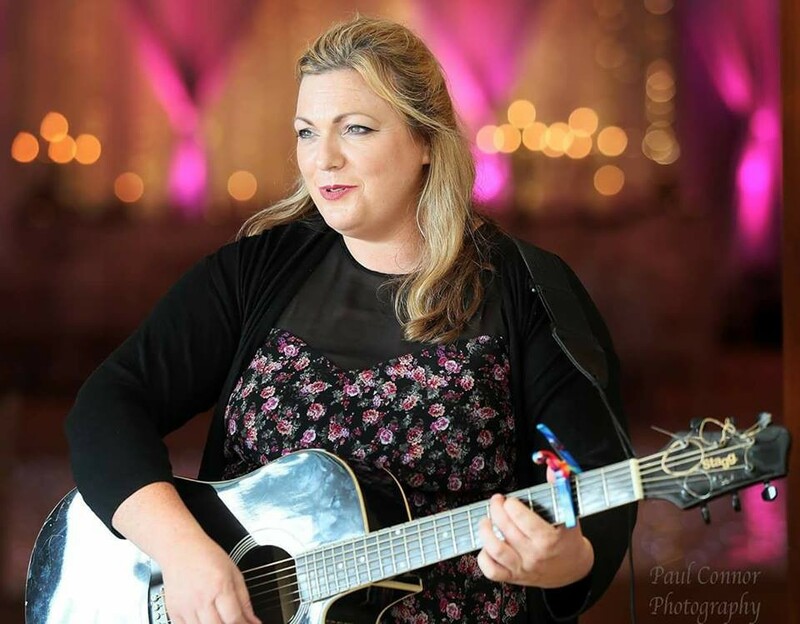 Anne-Marie is also the perfect choice for your Arrival/Drinks Reception music and has a wealth of experience in creating a wonderful atmosphere before, during and after the wedding ceremony. She can also perform at the after-party, ensuring yourself and your guests have an unforgettable evening! Contact Anne-Marie today and tailor your wedding, your way. What can we say about Annie??? There just aren't enough words in the dictionary that convey the pure Amazingness of Annie!! From the moment we met she was professionalism personified but also so easy to just chat to too. Her talent at what she does knows no bounds. Her voice gives me goosebumps and when she sang me up the aisle I had tears in my eyes!! So many of our guests commented on and complimented Annie. I have no hesitation in recommending Annie as a ceremony singer. Ahhh!! Rowena and Keith. Thank you so much for your lovely words. I thoroughly enjoyed working with the two of you and we had great crack during our skype meetings too. A true honour to work with you both on your wedding music. Thank you so much. I look forward to meeting you at a gig in Louth soon!! Annie. Anne-Marie was absolutely fabulous. We held our ceremony in the Gothic Hall of Luttrellstown Castle in November 2016. Her voice was beautifully suited to the room and brought more a few of the attendees – including the bridal party to tears, with the emotion in her voice. During the formal ceremony parts, with the celebrant speaking, we had arranged with Anne-Marie to play some chords in the background. This added a real depth to the service – so many people thought it was a beautiful touch. We would highly recommend Anne-Marie to all our friends and family for any future weddings. Anne-Marie, thanks again for everything you did on the day – you were amazing! We had Anne at our ceromany and at our drinks reception and she was amazing. I gave her a couple of songs that were not on the list for the ceromany and it was no problem for her to sing them. Anne-Marie is a must for any function but especially for your wedding. She is fantastic. Aisling, Thank you so much for your lovely comments and taking the time out to write the review. I thoroughly enjoyed being a part of your special day and I loved the mix of music for the ceremony. Wishing you both every happiness for the future. Annie. I was extremely happy with Anne-Marie as the wedding singer for our wedding day .She made our ceremony even more special and a lovely lady too. She sang our choice of songs beautifully. Anne-Marie was a pleasure to deal with and extremely professional. We got married on the 5/5/16. I wanted a church singer to sing modern songs. Anne-Marie was able to sing all the songs that I requested including 'A Thousand Years', 'The One', 'All of me' and 'How long will I love you'. She was able to provide with a long list of other songs and I chose a lot of my other church music from that.On the day, her voice was beautiful and it sounds beautiful on the wedding DVD. I would highly recommend Anne-Marie. She is professional, flexible and very reasonably priced. She is also a lovely person to work with. Annie is an amazing singer,and very professional to deal with. Shes very experienced and helped us alot with a wide choice of songs to chose from. Would definitely recommend her. Thanks a million for your lovely comments. It was a pleasure to work with you both. Wishing you both every happiness. Annie played at our wedding and to say I had goosebumps is an understatement her beautiful voice filled the church as I was walking up the aisle. Thank you so much Arlene for having me sing at your wedding. highly recommend. music on the big day is so important in my opinion. annie was amazing. you wont be disappointed. Thanks a million for having me there Nichola. Wishing you both every happiness. Annie. Thanks a million for the lovely review, Rita and John. It was a pleasure to be a part of your special day. Thanks again, Annie. Annie is such a talented singer and has the voice of an angel! We are so delighted that she was able to be part of our wedding day. In the lead up to our wedding, she was so helpful with our song and hymn choices and even gave me renditions over the phone! Her singing on the day was absolutely sublime and so many of our guests commented on her beautiful voice. She was an absolute pleasure to deal with- so professional, warm and approachable. We wouldn't hesitate to recommend Annie to other couples. You will not be disappointed. Thank you so much for your beautiful words Annette and Paul. It was such a privilege to be part of your special day. Wishing you every happiness and all the best in the future. Annie. We met with Annie and with in minutes we knew we wanted her to sing at our wedding. She is beyond professional, an amazing singer and so personal to what we wanted for our day. We had picked the songs for the church ceremony and left everything else up to Annie. She also attended the drinks reception and created such an amazing atmosphere for our guests who were all commenting about how her presence there added to the relaxed atmosphere while people chatted and sat out in the sun. If I was to do it all again she'd be top of my list to call and I honestly couldn't recommend her highly enough. Anyone that books Annie for their day will not be disappointed. Thanks a million. What a beautiful review. It was fantastic working with you both on your special day. Best of luck with everything and the expanding family. Annie. Thanks a million for your lovely review Charlene. I really appreciate it. Wishing you all the best in your future together. Annie. It was an honour to work with you on your special day. I loved the eclectic mix of music. Best wishes, Annie. Annie has a fantastic voice and an excellent musician. Very professional and listens to your ideas and gives valuable advice. Would not hesitate to recommend her to anyone. With her beautiful, uplifting and powerful voice Ann Marie added that extra something special to our ceremony. She made planning our music an enjoyable experience as not only is she easy to deal with, she has the ability to perform a great range of songs. She understood and delivered the performance and vibe we wanted for our wedding. We got lots of positive feedback from our guests and I would have no hesitation booking her again. 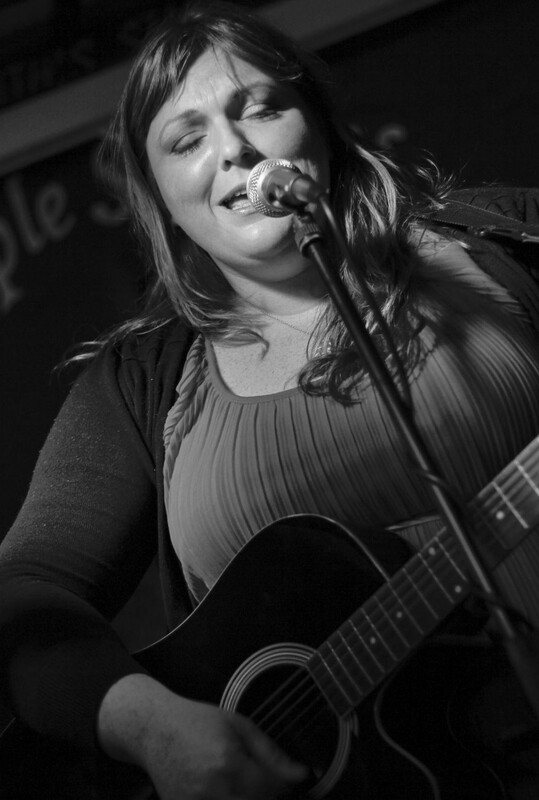 Annemarie sang for me at my wedding and not only was I blown away by her voice so were all my guests. Would highly recommend annemarie.